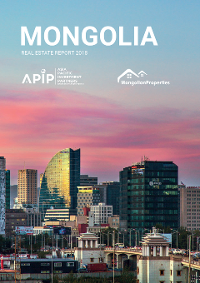 This report was delayed to take account of the World Bank’s recent assessment of the Mongolian economy. It was worth the wait. It reports growth will exceed 6% in the coming years, driven by increased Foreign Direct Investment (FDI) into the extractive industry. After growth way surpassed expectations in 2017, it has gathered pace this year, with improved fiscal and external balances. So much so, in fact, the National Statistical Office of Mongolia (NSO) reports a 6.1% rate of growth in the official figures for Q1. Hot on the heels of this announcement, Fitch issued a statement upgrading Mongolia’s rating as a long term foreign currency issuer from B- to B. Positive in itself, it is even more encouraging when you consider the long trajectory of improvement ever since the IMF package was announced in February 2017. Indeed, it was only in April S&P affirmed the country’s rating at B-/B with a stable outlook. Meanwhile Moody’s has also upgraded its local currency deposit ratings for both Golomt and TDB to B3. Mongolia is inescapably a commodities-driven economy, highly dependent on the performance of coal, copper and gold. Diversification is crucial – and ongoing- but arguably more important, is improved public finances capable of weathering cycles. Fitch predict general government debt will be 75% of GDP in 2018, down from over 90% in 2016. This together with meaningful reforms by government, is laying the basis for what economists term a more ‘inclusive’ economic future. Indeed, the IMF has long let it be known the aim is to achieve 8% sustained growth in line with emerging Asia, and all indicators point to movement in this direction. As we noted in our Q1 update, there is no room for complacency, however, the Mongolian recovery seems firmly underway. 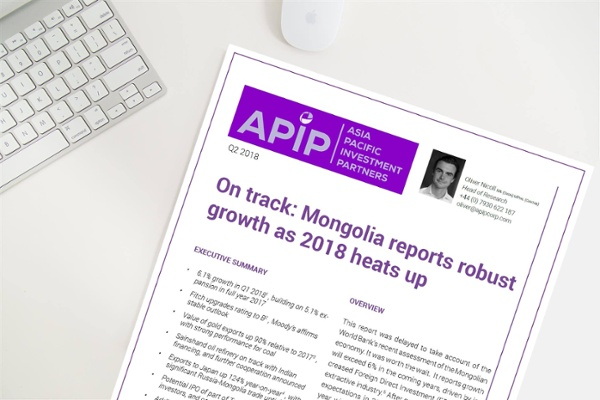 With a proactive government, resilient business community and renewed confidence from the international community, Mongolia can look forward to sustained growth for the remainder of 2018 and beyond. The performance of Mongolian coal continues to be noteworthy. 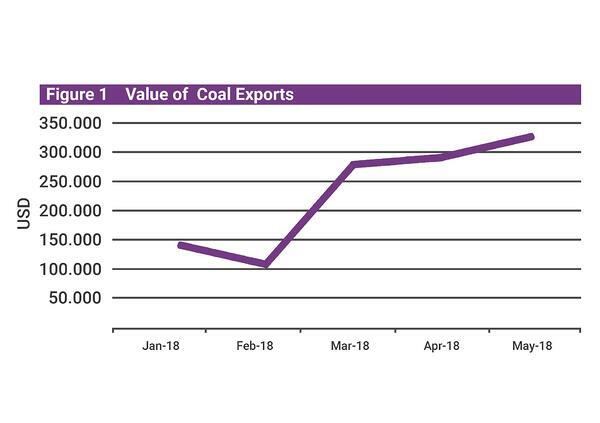 As Figure 1 shows, the value of coal exports has grown substantially in 2018. For the first five months of this year, a 10% growth relative to the same period of 2017 was recorded. May meanwhile was up 23% relative to May 2017. Copper has also enjoyed a good start. After a brief fall in April, by May, it had recovered and export values increased. 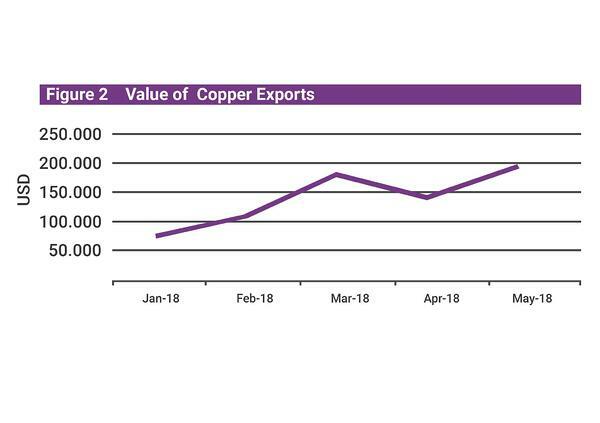 This represents 30% growth in the value of copper exports in the first five months of 2018, relative to the same period last year. May 2018 was also up 45% compared with 2017. 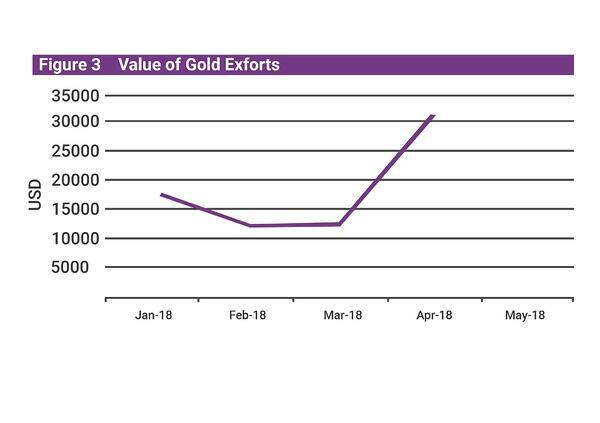 Gold is a developing industry in Mongolia, however, April saw a significant uptick in the value of exports. More encouragingly, its total value in January-to April, was up 90% relative to the same period of 2017. This owed to a particularly strong February and March. Figure 3 shows the performance of gold in January-April (for which data is publicly available). The performance in terms of export volumes is more nuanced. 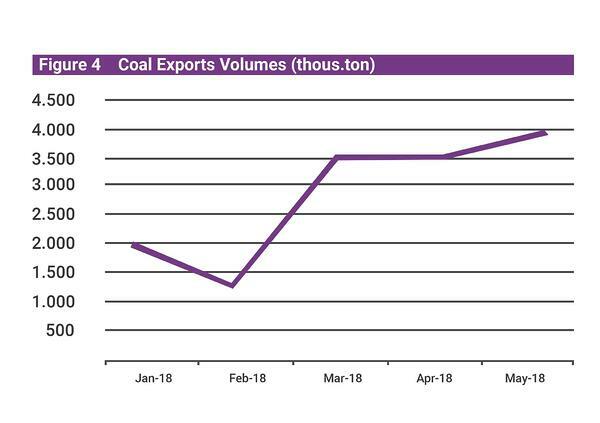 Figure 4 shows export volumes of coal for January to May 2018. This represents a 5% reduction as compared to the same period of 2017. May 2018 versus May 2017 was up by 12%, however. The volume of Mongolia copper exports was also down in the first five months of 2018 relative to the preceding year, though only by 1%. By direct comparison with May 2017, there was a 38% growth. 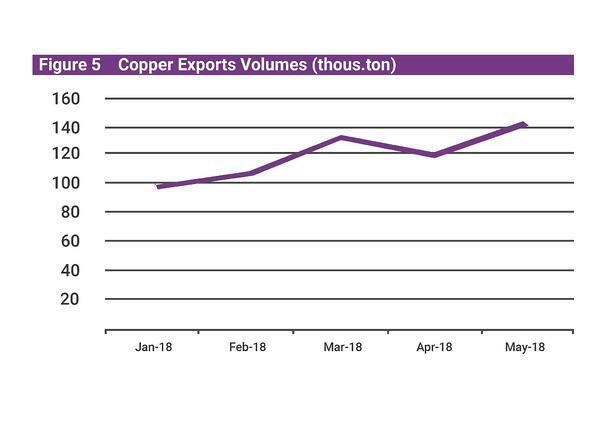 Figure 5 shows copper’s 2018 performance in volume terms. 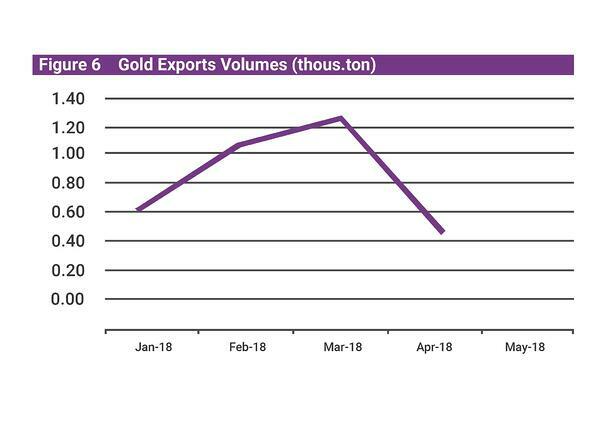 Turning lastly to gold, we only have figures up until the end of May, however, regrettably, the volume of exports fell significantly in April relative to March. The performance is shown in Figure 6. These figures- especially in value terms- are likely to cheer industrialists. But government policy also merits consideration. In June, it submitted plans to parliament to list a significant proportion of the company that owns the Tavan Tolgoi mine. The complicated (and capital intensive project) located 155 miles from the Chinese border, has been largely stalled but has significant worth. With favorable coal pricing, it is sensible to consider how the private sector could help deliver it. Given the capital needed to bring the project forward, the government’s plans represent a recognition of reality. And this bodes well for its general approach to the extractive industry. Junior and senior miners also continue activities in Mongolia. Xanadu successfully raised US$10m from institutional and sophisticated investors locally and internationally to help develop a gold-copper prospect. Aspire, has also reported progress in the railway which will help deliver its Ovoot project. On 8th June, the Mongolian Minister for Roads and the Russian Transport Minister, signed an intergovernmental agreement which will allow Mongolia-sourced freight to benefit from a tariff discount for the next 25 years. Aspire is confident this will be highly beneficial in realizing the true value of its 255 million ton ore reserve. This announcement built on the 25% surge in its share value in April within one day, after an unprecedented high volume of trades. Meanwhile, TerraCom has announced a new coal discovery in Mongolia. Located next to its Baruun Noyon Uul mine, TerraCom claim this to be ‘by far the thickest thus far discovered within the company’s licenses’. Though nothing is assured in mining projects, early indications suggest it could be a significant discovery. This quarter also saw Erdene receive approval for a secondary listing on the Mongolian Stock Exchange (MSE). Through sales of shares to Mongolian residents (and a separate private placement), Erdene believes it will raise US$4.4m for drilling and other activities. 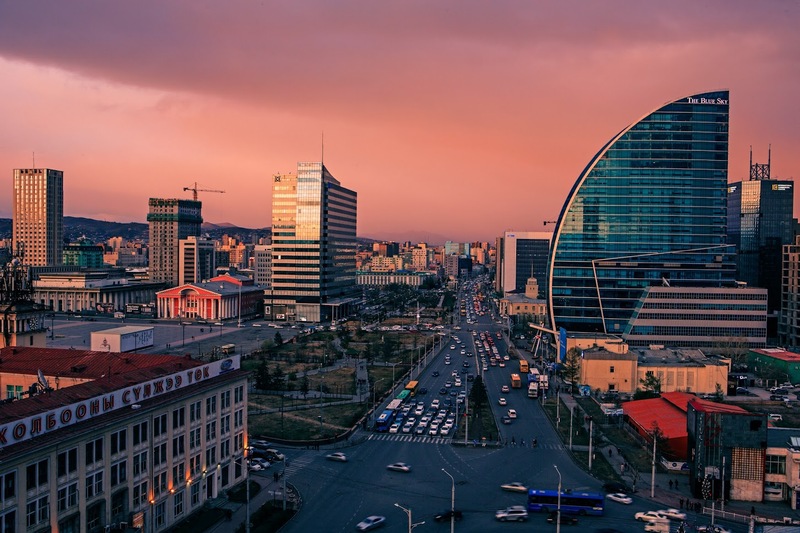 Whether intentional or not, it is a welcome step in allowing at least some Mongolians to take a commercial stake in the development of mining in their country. Exports, combined with proactivity from public and private sectors, has placed Mongolia in a confident position as it embarks on the third quarter of this year.